A LR effect added to the photograph is an excellent way to liven it up. It improves the quality of the perception of your photo. This effect is suited for practically any photograph. The warm effect is incredibly simple to obtain with our professional Lightroom presets free, which can illuminate the cozy colors of the photo, make them more vivid and distinct. A set of free warm and clean Lightroom presets is designed to soften the photo, it will also increase the overall contrast. It will highlight the colors and make them distinct. 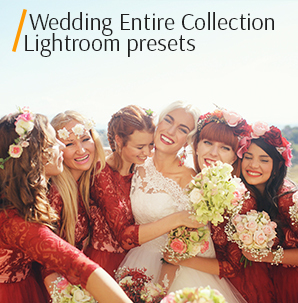 These professional Lightroom presets are suited for enhancing the photos of different genres! These free Lightroom presets vintage warm were custom-designed for you to upgrade and drastically transform your photography. This will allow to provide your photos with a brand new look — your shots will change beyond recognition! Don't believe us? Download them now and see for yourself! LR Preset #2 "Orange Shadows"
LR Preset #4 "Soft Skin"
LR Preset #5 "Warm Light"
The basics of a quality free bundle include achieving quick split-toning effects, efficient correction of the most common issues. These free warm and clean Lightroom presets will enable you to project your singularity onto your pictures! If you know how to use Lightroom presets, you are also understand the fact that the relevance of this software is speed. You can apply a preset to one photo or large volume of photos and achieve a warm effect in the blink of an eye. It's very challenging to look for professional Lightroom presets free. This bundle of high quality presets was compiled to assist you in enhancing your photographs and create jaw-dropping results.If you apply the same plugin to a number of photos, the outcome may be different for each picture. It's all about embracing experimenting. Free Lightroom Preset #1 "Sunshine"
Makes shots more vivid and bright, as if flooded with the summer sun. If you want the photo to evoke warm, pleasant feelings go ahead and use it. Looks incredible on pictures with natural light - photos that you take at dawn. This plugin helps create breath-taking cinematic look Lightroom. Warm Lightroom Preset #2 "Orange Shadows"
If you are interested in creating orange fade effect Lightroom this plugin is your best choice. It will work well with the majority of outside photographs. It adds an airy feeling to them. This plugin is the best choice for landscape and animal photography. 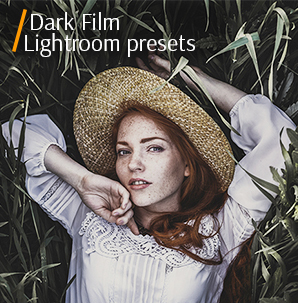 Free Warm Lightroom Preset #3 "Darken"
This is one of the warm contrast Lightroom presets free. It is designed for dark photos that adjusts the exposure and enhances the colors. This plugin will assist you in achieving brilliant photo post processing in gentle tones. It enhances the details and instantly adds beauty to your shots. Warm Lightroom Preset Free #4 "Soft Skin"
This plugin adds a cold tone and a bit of grain effect to the picture. It is also great for achieving Lightroom film effect and giving your photos an intimate atmosphere. It will become your favorite one in no time! It lends itself nicely to all photography genres as you may see on the following before and after example. Warm Preset for Lr Free #5 "Warm Light"
One of the free Lightroom presets warm for portrait photo post processing. An amazing plugin for product photography, it leaves white tones and does not spoil the picture. The skin tone is transformed into a warmer shade. This one is highly recommended for commercial needs. Free Lightroom Warm Preset #6 "Tonning"
This is one of the free warm and clean Lightroom presets with minimal corrections and a little soft toning. It looks very natural. With this plugin, you can quickly and easily retouch one photo, or a bunch of photos, warming the tone of the picture a bit and adding a soft tint. Very recommended for wedding photographs. 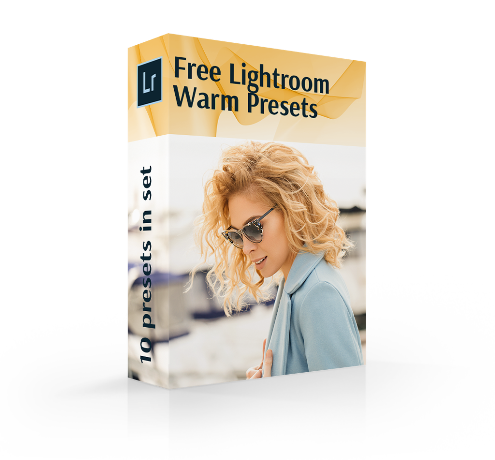 Warm Lr Preset Free #7 "Matte"
This plugins belongs to warm contrast Lightroom presets free and will absolutely become an integral part of your workflow. It adds warm orange and brown hues to a photo and makes it softer. An excellent choice for studio photography, as well as any decorative photography photoshot. Lightroom Preset Warm #8 "Vintage"
One of the best and demanded clean warm Lightroom presets free which creates a wonderful color correction on your pictures and makes them more attractive and colorful, raises saturation а little, and also adds toning. The plugin will give even more depth and volume to the photo which you can see on the sample photo. Adobe Lightroom Preset Warm #9 "Pastel"
This one of the free warm and clean Lightroom presets, makes the green tones warmer and gives a pleasant spin to every photo being applied by this preset. The plugin beautifies rays of sunshine, and the silhouette of a body, which is illuminated by the sun. Highly recommended for boudoir photographers. Lightroom Preset Free Warm #10 "Shadows"
Out of all of the free Lightroom presets warm fuzzy this one stands out. It is designed for landscape photography, which is preferably misty, with high level of shadows. But it will surely work on other genres of photography, mostly photos in outside setting. Try it for your nature photography right now. 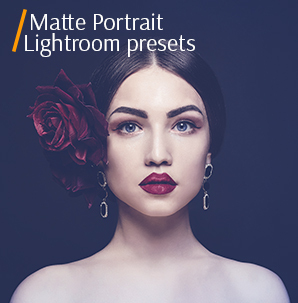 These top Lightroom presets are made by professionals and carefully selected for different kinds of digital photography genres to give them an authentic and distinct look! Don't be afraid to experiment!